So, pregnancy is often a major concern for patients who have multiple sclerosis, or MS, and many people with MS have a lot of questions about how this disease impacts childbearing as well as the effect of MS on pregnancy. This is CME on ReachMD, and I’m Dr. Shiv Saidha. Joining me in this discussion today are Dr. Kerstin Hellwig and Dr. Jiwon Oh. Thank you very much. It’s a pleasure to be here. So, jumping right to what’s on everybody’s mind—Dr. Oh, to begin with you—would you mind telling us a little bit about what pre-pregnancy counseling you normally provide to people with MS who are female and whose disease is not very active? Sure. So, I think, first of all, it’s important to emphasize that this is a topic that the majority of our patients will at some point in their lives be discussing with their neurologist. Keep in mind that MS is a disease that is typically diagnosed in the late 20s and early 30s, and the majority of patients presenting are female, and so because of this, I think this is something that is best discussed early on, The goal of me bringing it up at that initial visit as well is just to emphasize that this is certainly something that can be dealt with as long as there is communication in advance. If this is somebody that is already on a disease-modifying therapy, then we discuss whether there is a need for washout of this treatment prior to conception, and then different things that can be done, and then I give a general overview of typically what needs to be done during pregnancy and that we should touch base at some point, and then give a general overview about what should be done postpartum with regards to breastfeeding and resumption of disease-modifying treatment. Yes, thank you. I would imagine that a large part of the discussion is conversation about the natural changes that occur as part of the MS disease process during pregnancy as well as potentially weighing risk-benefit profiles of different therapeutic options. Of course, we have to recognize that in general—and right now we’re discussing somebody who doesn’t have very active MS—the actual relapse rate drops quite dramatically, and particularly during the second and third trimesters. So, considering this same type of patient, Dr. Hellwig, would you be able to tell us a little bit about your approach regarding after somebody who doesn’t necessarily have very active MS conceives? Yes. So it’s somehow also depending on the drug this woman was before. Most assume she conceived under pregnancy-compatible drug, as interferon beta or glatiramer acetate, even DMF, so I generally stop the treatment during pregnancy as most of the data on exposed pregnancies coming from early first trimester exposure. Theoretically, it would be possible, I think, to continue injectable treatments during pregnancy; but as you mentioned before, the relapse rate is dramatically decreasing during pregnancy, so during pregnancy a treatment is not necessary in mild diseases for most of the women, so generally spoken, I would stop it. I counsel that they can receive steroids for relapse management if necessary. I would also counsel that vitamin D levels should be in the normal range. Finally, I would tell them that the MS itself or the mode of delivery is not influencing the postpartum relapse risk, neither does the epidural—for example, anesthesia. That’s great. As a follow-up to what we’ve been discussing, Dr. Hellwig, what recommendations would you give to this type of patient in the postpartum period, so after delivery? So I’m a fan of supporting women to breastfeed if they want to breastfeed. And there are some data also from our group, from our registry, which we presented last year at ACTRIMS that we got first safety data on breastfeeding under injectable treatments, and you could consider to resume injectable treatments during breastfeeding. If a relapse occurs in the postpartum period, then the risk is somehow higher, but even in modern cohorts it does not seem to be that high. So, for those just joining us, this is CME on ReachMD. I’m Dr. Shiv Saidha, and today I’m speaking with Drs. Kerstin Hellwig and Jiwon Oh about managing multiple sclerosis in pregnant patients. So, earlier we discussed a hypothetical patient who did not have very active MS, but now I’d like to switch focus to a patient with MS in whom their disease is actually quite active. And so, Dr. Oh, I’m curious to hear your thoughts about how your approach to this type of patient may be different to a patient in whom their MS is quite mild or inactive. So my approach to this type of patient differs quite a bit from my approach to the patient that we discussed earlier who had a relatively mild disease activity. So, in somebody with relatively active and aggressive disease activity, I think, first and foremost, I do recommend that they try to get their disease activity under control prior to considering pregnancy and all of the associated physiologic as well as emotional changes that come along with it... We do have increasing evidence that some disease-modifying treatments, including glatiramer acetate, can safely be used during pregnancy, and we also have emerging evidence that some higher-efficacy infusion medications, such as natalizumab, can be used during pregnancy as well, because some patients with highly active disease, despite the fact that pregnancy tends to be a low-inflammation state, can still have relapses during pregnancy. In patients like these as well, I think it’s important to have a discussion about resuming disease-modifying treatment after pregnancy because these are the patients that are at highest risk of having a postpartum relapse if they are not on anything during pregnancy, and so, obviously, there needs to be a lot of things balanced, including the patient’s desire to breastfeed, how long they want to breastfeed, and their pre-pregnancy disease activity. But taking all of these things into account, usually I recommend that they do not necessarily breastfeed for a very prolonged period because, again, these are the patients that are at highest risk of having a postpartum relapse, and I typically recommend that if they can, they resume disease-modifying treatment early on postpartum. And if they do not in the interim, we can start an agent like one of the injectable therapies that usually can still safely be used with breastfeeding. Yes, thank you. I think the use of high-efficacy or, in particular, monoclonal antibodies in the run-up to conception is an interesting discussion. You mentioned some emerging data that, perhaps, natalizumab may be used, and I think there is some emerging data and real-world experience with how a patient, perhaps, who may be on a B-cell-depleting agent may also be potentially able to become pregnant as well. As a follow-up, Dr. Oh, is a person with MS that automatically becomes pregnant—is that regarded as a high-risk pregnancy, or what are your thoughts about that? So, I mean, generally, my opinion would be no. Although, I think in the obstetrics world, based on the regular communication that I get from obstetricians, if somebody has a label of MS, obstetricians typically like the neurologist to weigh in about if there are any contraindications to particular anesthetics or if there should be something that people should keep in mind during labor and the postpartum period. But as a general rule of thumb, because the majority of our MS patients do not have extremely aggressive disease, it is not a high-risk pregnancy. However, if somebody does have highly active, aggressive disease, obviously in the postpartum period or even in the intrapartum period, these are people that need to be monitored neurologically and measures taken, say, if a patient has a relapse during pregnancy, and clear plans need to be established in the postpartum period about the duration of breastfeeding and resumption of disease-modifying treatment. But again, as a general rule of thumb, no, it’s not a high-risk pregnancy. Dr. Hellwig, would you echo that same kind of feeling on your side in terms of whether somebody with MS, their pregnancy should be automatically labeled as high-risk, or are your feelings similar to Dr. Oh’s? Very similar. But I have to add, if the disease is highly active, especially those treated with fingolimod or natalizumab, if you withdraw the drug during pregnancy, they are at risk for rebound or severe relapses—not many—but those who have a rebound, it might be substantial, a substantial increase in disability, and this is an important point to discuss with the patient. How to choose the right treatment: I think depleting antibodies are a good option, perhaps cladribine if they are compliant not to become pregnant in the first 6 months after the last cycle, and in case somebody becomes pregnant on natalizumab, to continue it during pregnancy. If you have highly active MS, I’m not sure, and I don’t think that an injectable therapy will manage. Pregnancy is not managing the rebound of the return of the disease activity, so I probably think there are no data on this, but that injectable therapies are not able to suppress this disease activity. Postpartum, I also agree with Dr. Oh. Perhaps, in 5 years more women will breastfeed on the monoclonal antibodies. So far it’s not generally recommended. And also, I mentioned that in the postpartum period, also, of course, you can give steroids during breastfeeding. If you have really severe relapses during pregnancy, you can give steroids during pregnancy also, and if it’s a very severe relapse, you can also consider plasma exchange. Yes, those are wonderful comments, Dr. Hellwig. I think I would agree with both of you. I don’t think that pregnancy itself is high-risk. So, as we come to a close, I’d really like to hear from both of you on what you think the most important takeaway points are for our audience. So, Dr. Hellwig, let’s start with you. Okay. Most important point is to communicate with the patient; from the neurologist’s side, to choose the right medication, to ask if there is some family planning wish in the future—of course, this can change, but at least to talk about it—then try to find the best and safe medication; counsel them; reassure them that pregnancy is possible for women with multiple sclerosis; there is no long-term risk of disability; and also, the babies are not at risk for adverse pregnancy outcomes. This is the general recommendation. And then one important thing is, if you really have aggressive disease, we have a lot of options. That’s excellent, Dr. Hellwig. Dr. Oh, any final closing takeaway messages that you would like to impart to our audience? Well, I think Dr. Hellwig really summarized it very nicely, and I don’t have very much to add; but I think bottom line is family planning is a very important issue that most patients at some point will likely encounter, and so I think the message is that this can entirely be done even if you have very aggressive disease. It just requires communication and planning in advance. And especially with many of the newer therapeutic options, I think there are a lot of ways that this can be managed quite easily. Dr. Oh, those are also wonderful points for us to take away from this discussion. And I would really like to thank my guests for helping us better understand MS in the context of pregnancy, approaches to MS in pregnancy, as well as the postpartum period. Dr. Hellwig, Dr. Oh, it was an absolute pleasure having both of you here with us today. Many MS patients have questions about how this disease affects childbearing—and vice versa. Are you prepared to answer their questions? Pregnancy is a major point of discussion for all women of child-bearing age, and when you factor in diseases like multiple sclerosis, it only further complicates matters. 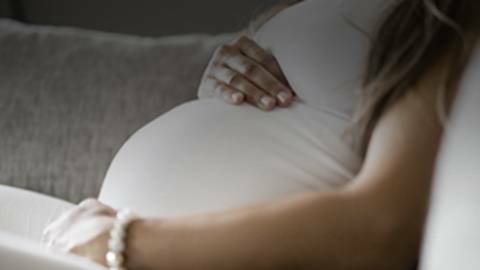 Hear from experts Dr. Kerstin Hellwig, Dr. Jiwon Oh, and Dr. Shiv Saidha about their approach to managing MS patients before, during, and after pregnancy. Dr. Saidha has disclosed he receives consulting fees from Biogen, EMD Serono, Genetech, and Genzyme; contracted research from Biogen, and Genetech; and has ownership interest in JuneBrain LLC. Dr. Oh has disclosed that she receives consulting fees from Biogen-Idec, EMD Serono, Novarits, Roche, and Sanofi, she also receives research support from Biogen-IDEC and Roche. Dr. Hellwig disclosed she receives consulting fees Bayer, Biogen, Genzyme, Merck, Novartis, and Teva; and contract research from Biogen and Novartis. Rob Braun has nothing to disclose. Barry Fiedel, PhD has nothing to disclosed. Demonstrate an improved ability to assess when continued use of a disease-modifying therapy (DMT) in a pre-pregnant, pregnant, and/or breastfeeding patient with multiple sclerosis (MS) may be appropriate. Formulate family planning communication pathways with patients with MS of childbearing age. This activity is designed to meet the educational needs of neurologists, women's health professionals, nurses, general practitioners, and other professionals that treat women with multiple sclerosis. The views and opinions expressed in this educational activity are those of the faculty and do not necessarily represent the views of TOPEC Global. This presentation is not intended to define an exclusive course of patient management; the participant should use his/her clinical judgment, knowledge, experience and diagnostic skills in applying or adopting for professional use any of the information provided herein. Any procedures, medications, or other courses of diagnosis or treatment discussed or suggested in this activity should not be used by clinicians without evaluation of their patients’ conditions and possible contraindications or dangers in use, review of any applicable manufacturer’s product information, and comparison with recommendations of other authorities. Links to other sites may be provided as additional sources of information. Once you elect to link to a site outside of TOPEC Global you are subject to the terms and conditions of use, including copyright and licensing restriction, of that site.